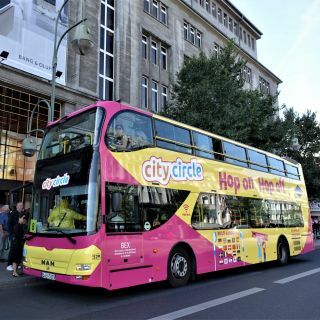 Start or interrupt your hop-on hop-off Berlin City Tour at stop KaDeWe, the biggest department store on the European continent. Every Monday-Saturday the same ritual takes place at KaDeWe when, shortly before 10 a.m., the original iron gate dating from 1907 is lowered so that customers can embark on an exciting shopping adventure. Each day up to 180,000 customers from around the world are cordially welcomed by the KaDeWe before being attended to on more than 60,000 sq m of sales space by some 2,000 employees.